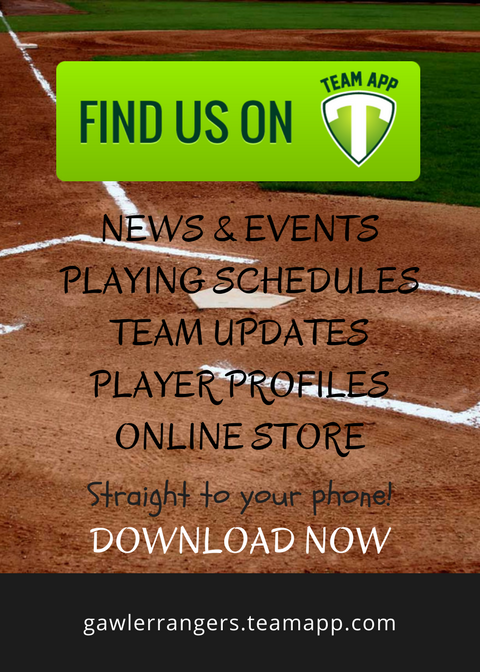 All players and officials register online through the Baseball Australia system. You are able to complete the process yourself either on a computer, tablet or mobile phone. The system prefers the use of Google Chrome – if you are having trouble registering please check which browser you are using first. Currently all registrations are open. Please read this article prior to registering. Please note that State & National fees are payable in full at the time of registration. Even if you are not playing, coaching or scoring this season, we welcome you to be an official member of our club! You can buy your membership in person at the club, or via the online store on Team App. You will receive entry into some great prize draws, access to free meals and drinks, and all the sponsor benefits of full membership at the Rangers. Includes automatic entry into monthly member prize draws, club sponsor discounts, a Gawler Rangers cap, 2 x meal vouchers and a drinks card. 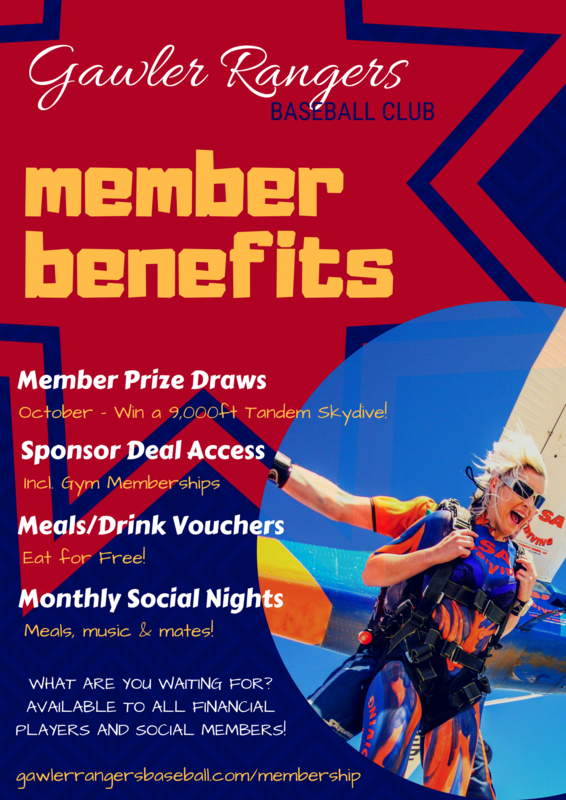 Includes automatic entry into monthly member prize draws, club sponsor discounts, a Gawler Rangers drink bottle, 1 x meal voucher and a drinks card. Includes automatic entry into monthly member prize draws, club sponsor discounts, 1 x meal voucher and a drinks card. Includes automatic entry into monthly member prize draws, club sponsor discounts, 2 x Gawler Rangers caps, 2 x Gawler Rangers drink bottles, 4 x meal vouchers and 4 x drinks cards.